Since moving from Grenada to Toronto in 1980, Eddie Bullen has worked with everyone from calypsonian legend David Rudder to jazz superstar Dee Dee Bridgewater. 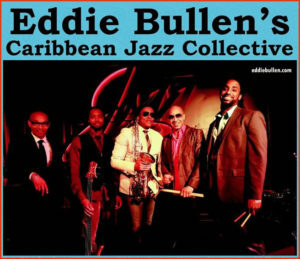 One of this award-winning pianist, composer, arranger and producer’s many projects is the Caribbean Jazz Collective. Assembled by Eddie and Cuban-born percussionist Joaquín Núñez Hidalgo, the CJC is comprised of first-class musicians of Caribbean descent who add a jazz twist to beloved music from, or inspired by, their homelands.